Everything You Expect... and More! Scaling down, moving up, first time buyer or investor, it is natural that you have questions or concerns about how to make an informed real estate decision in today's market. Throughout this site you can find information on the communities of Sioux Falls, Brandon, Harrisburg, Worthing, Dell Rapids, Crooks, Canton and Hartford. The mortgage calculator is valuable tool for buyers and sellers. More specifically for buyers there is information on how to choose the "right" property, making an offer on the property and then negotiating the offer to completion. An explanation of the inspection process, types of financing available, current mortgage rates and moving hints are also available. Specializing in Sioux Falls real estate and Brandon real estate, as well as homes for sale in Harrisburg, Worthing, Dell Rapids, Crooks, Canton, Hartford, and Minnehaha County. 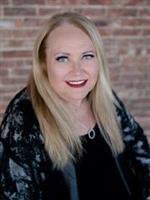 Cindy Oyen - helping to find and buy the home of your dreams. For anyone thinking of selling their home, read on how to prepare your home for sale, how to price it appropriately, and how to select a real estate agent. One that will effectively market your home and guide you through the selling process, negotiating your offer, explaining and following up on the inspection/appraisal of your home, confirming the buyer's mortgage pre-approval or ability to purchase your home. But mostly importantly, an agent that will listen to you, be pro-active on your behalf, and will keep you informed every step of the way.